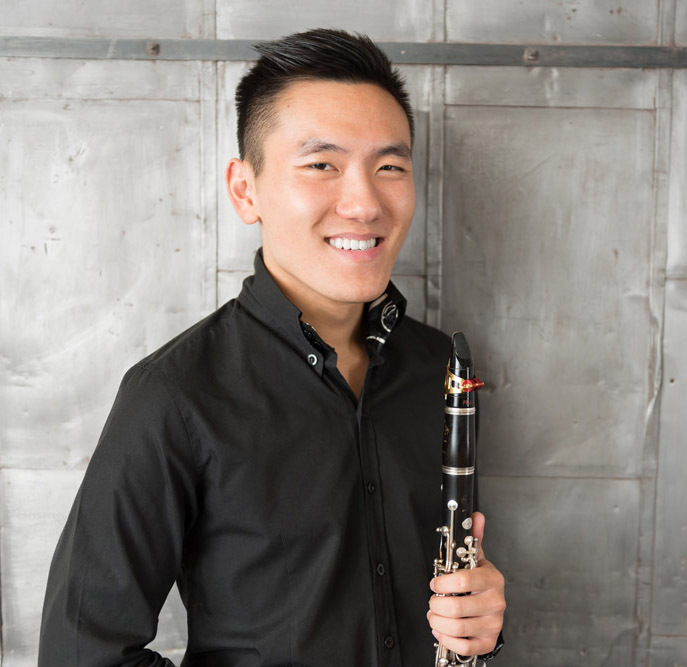 Clarinetist Benjamin Chen made his American solo debut as a concerto soloist at the Kennedy Center, the result of winning the National Symphony Orchestra’s Summer Music Institute concerto competition. Mr. Chen collaborates with a wide spectrum of chamber ensembles based in Cleveland, including the new music group Ars Futura and the award-winning North Coast Winds, and has given recitals and master classes in concert tours throughout China. Festival appearances include the Pacific Music Festival (Japan), ChamberFest Cleveland (Ohio), the Sarasota Music Festival (Florida), the Atlantic Music Festival (Maine), and the orchestral academy at the Centre d’Arts Orford (Canada). A member of the Erie Philharmonic and the Cleveland Pops Orchestra, Mr. Chen has performed with the New World Symphony, the Detroit Symphony, and The Cleveland Orchestra. Mr. Chen earned degrees from the Cleveland Institute of Music, where he was a recipient of the Helen Curtis Webster Memorial Award and a winner of the 2012 concerto competition. His teachers include Richard Hawkins and Franklin Cohen.